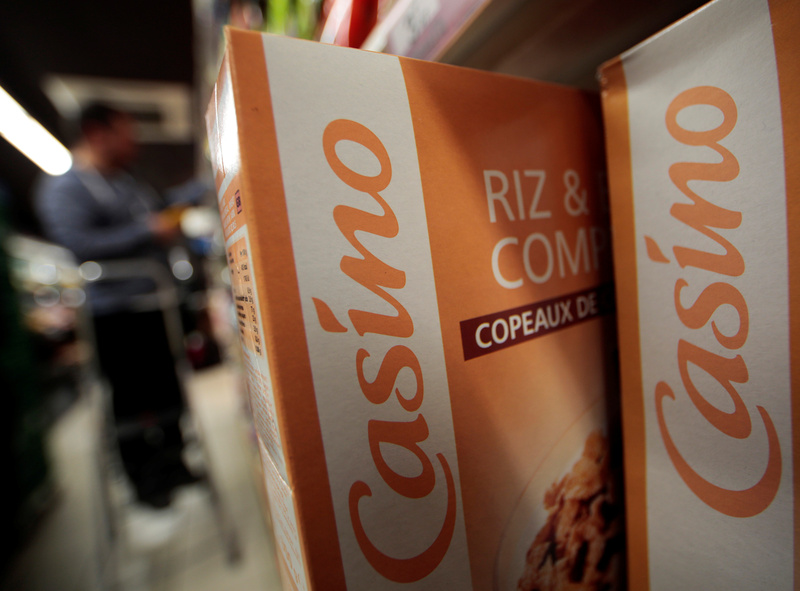 Casino brand rice is seen on the shelf in one of thier stores in Nice, France, January 14, 2016. French supermarket group Casino on Sept. 23 said that it had been contacted by larger rival Carrefour over the last few days “with a view to a possible combination”. Casino said its board of directors had held a meeting on Sept. 23 and unanimously decided to reject Carrefour’s approach. Carrefour on Sept. 23 said that denied making an approach and said it was reviewing its legal options in order to stop what it called “unacceptable innuendoes”. Casino’s shares were down 0.4 percent to 35.85 euros at 0800 GMT on Sept. 24, while Carrefour’s shares were up 0.4 percent at 16.7 euros.